ANOHNI’s Miracle Now opened in late-May as part of Copenhagen Art Week. 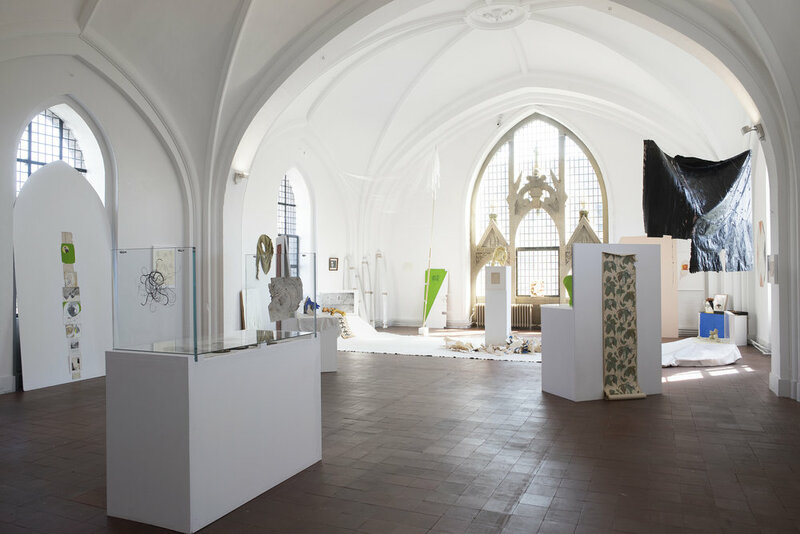 The solo exhibition brings together paintings and drawings, collages, found objects, sculptural work and a nine channel sound and video installation within Nikolaj Kunsthal, a contemporary art space in one of the city’s oldest churches. There is a sign outside the door that reads ‘Jeg er ikke en kirke’, which translates to ‘I am not a church’. I smile and think of Magritte, ‘Ceci n’est pas une pipe’. I have read about ANOHNI’s work for the festival and yet I am not sure what to expect, the pieces being so varied in their construction. Her music has been some of the most moving I have known. Her interviews and activism carry strength and humility in astounding measure. In 2017, she was artist-in-residence in Aarhus, the European Capital of Culture and presented FUTURE FEMINISM, an exhibition and series of lectures and workshops. Her ability to explore and evolve as an artist is remarkable to me. Does nature evolve, or does she just change? So much information can now be stored in a tiny space. Scientists have said recently that ancestral trauma changes our genome in detectable ways... When I first staged the play "Miracle Now" in 1995, my dream was that Nature would remember every one of her vanished faces, and that this knowledge would somehow inform her next iteration. This was a hopeful idea to me, in the face of eco-collapse. The exhibition is broken into distinct parts and staged throughout the building. Each expression is given its own space and emphasis, but builds on the same set of ideas. The first room I come to has several framed images: an enlarged death certificate recording a life lost in the Hudson River in 1992, flanked either side by thick dark blue and black paintings, broad brush strokes and bleeding edges. On the other wall is a cut-out from a glossy 1987 US News & World Report on the AIDS epidemic. ANOHNI’s ‘miracle’ is heralded by untimely death from the first. 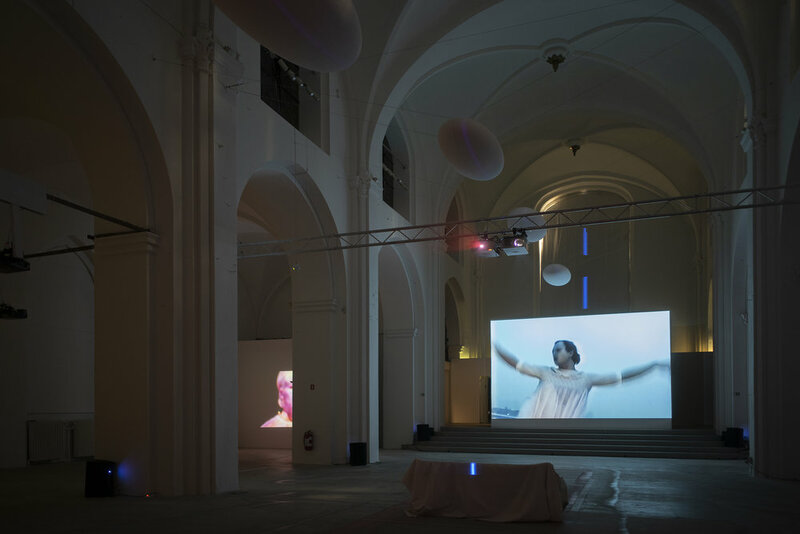 Anohni, Miracle Now, installation view, Nikolaj Kunsthal, 2018. Up two flights to a mezzanine level, a half room, open to the echoes of feet on the stairs, are a series of collages. I feel more at ease in this space, after the rapture and darkfall below. I am drawn to the crisp white mounting and care given to each piece; the contrast of the smooth frame against a water-stained manilla envelope, torn across the top edge, masses of pale green paint smeared across the front. Dark ink runs down and mildew creeps upwards. Anohni, Green Angel of Death, 2016. Courtesy Nikolaj Kunsthal. It sits alongside a landscape from an old National Geographic: Misty Wilderness, ‘a mysterious land of brilliant yellow and orange mosses’. The image of the plants is just a fraction though, a flare of light burning up, the rest covered by matted rusty paper. The authority of the neat, printed type at the bottom of the image has been obstructed and destructed by time and matter, by the collage. There is a beautiful equanimity to it, and I am reminded of the duality of everything - the way these materials talk to each other and demand our attention in this uneasy context. More collages and cut-outs. A black and white photograph of caribou on a desolate prairie has been carefully stitched together, neat but for the overlap where an animal half-disappears between the pages. One darkened photograph has been torn into small pieces and then put back together, sticky-taped down, no edges quite overlapping right. I think of the patchwork of land from a plane window, how with height and distance we can see man’s hand on each field. I see now the trauma ANOHNI refers to, and this new iteration of nature we are breaking and re-creating in fractured images. The upper most room is brightest, with full prisms of light streaming across the stone floor. The ceiling is vaulted, as if the Gothic peaks of the windows were reaching to each other across the room. I find symmetry here, a balance to the loud, dark space two floors below - the light and darkness that encompasses this ‘miracle’ of life. Panels sit against several windows, each with a kind of totem on them - a series of images and found matter that are built and layered upwards, like narrow alters. Muted colour and shape create harmony in each totem. Fractured seams and wider pieces come together to create order, and are imposing in their elegance and stature. Smudges, colour bleeds, torn edges and messy folds. Up and down each totem and up and down the room there is a strong sense of ceremony. It is as if the collages of the previous room have evolved; they have grown upwards and blossomed. 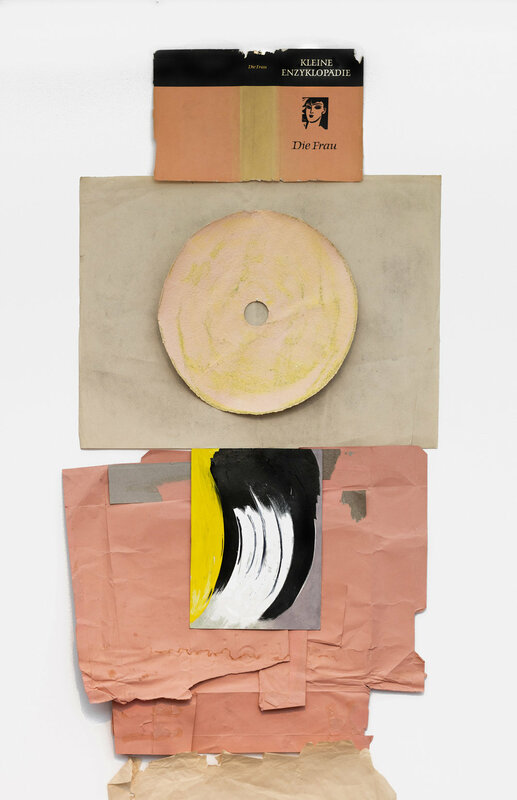 There is a messy disc on one panel, and circular motions throughout; the arch of a fox’s back on an old torn photograph, and a fluid curve of paint below it. I notice holes in the paper, some neat and finite, others a fading sun. All are round. These are natural movements, natural shapes, natural progressions. There is an inherent structure to the works; the hierarchy to the order of the images reflects the momentum of the exhibition as a whole, straining ever upwards. Rare birds grace the upper reaches of one panel - stuck upside down, their page and our world turned on its head. Anohni, Totem, 2017. Courtesy Nikolaj Kunsthal. ANOHNI quotes American naturalist John Muir (1872): ‘nothing goes unrecorded. Every word of leaf and snowflake and particle of dew, as well as earthquake and avalanche, is written down in Nature’s book’. This is true of Miracle Now. The circles and cycles of our world are brought together tenderly in this exhibition, piece by piece. 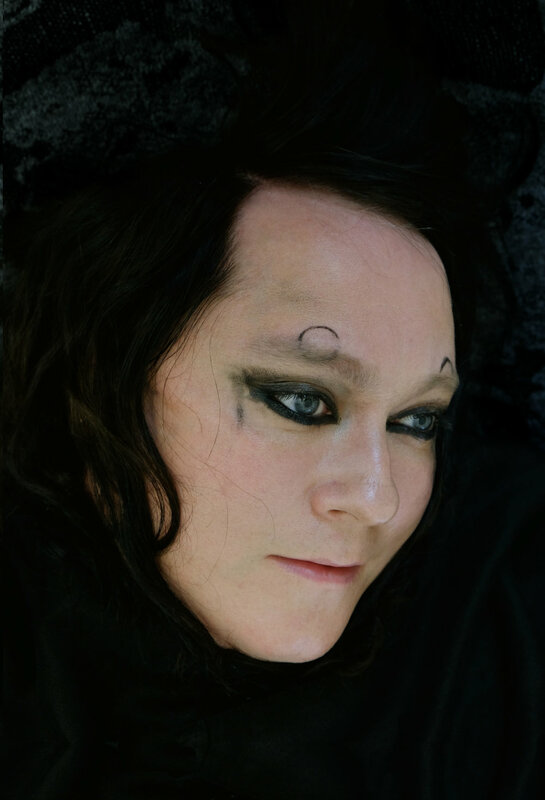 Discarded and disjointed, ravaging and beautiful, there is a striking symmetry to the world ANOHNI has created. None of this is separate - these events and moments and scraps of life, videos, collages, drawings. Mads Mikkelsen describes her work ‘as intertwined faces of a single cataclysm, rather than as a sequence of unrelated events’. For all the destruction and emotion of these pieces, however, the intention is distinctly hopeful - a fundamental balance of dark and light. In Miracle Now, ANOHNI is meticulously observing the beauty in all matter, in the scope of our experience and relationship to all things. Meg Madden is a writer and editor currently based in Copenhagen, Denmark.